A man has been jailed for threatening to shoot firefighters who were dealing with a bonfire in his garden. The fire service was called to Andrew Lambert's home in Winston Way, Ringwood, Hampshire, on 22 July. 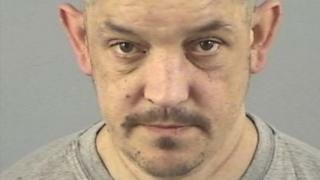 The 40-year-old threatened two firefighters with an imitation firearm, Bournemouth Crown Court was told. Lambert, who pleaded guilty to affray, was jailed for 18 months. He will serve an extra six months after activating a previous suspended sentence. Police said the incident, at about 22:00 BST, was a "frightening experience" for the firefighters involved. The defendant threatened them with a BB gun painted black to resemble a real firearm, police said. Det Con Chris Orr said: "This should send a warning to anyone else tempted to behave in this irresponsible and threatening manner."